(Blueberries, Wild) Wild blueberries are about 1/2 the size of the cultivated variety normally sold fresh in plastic boxes in the markets. 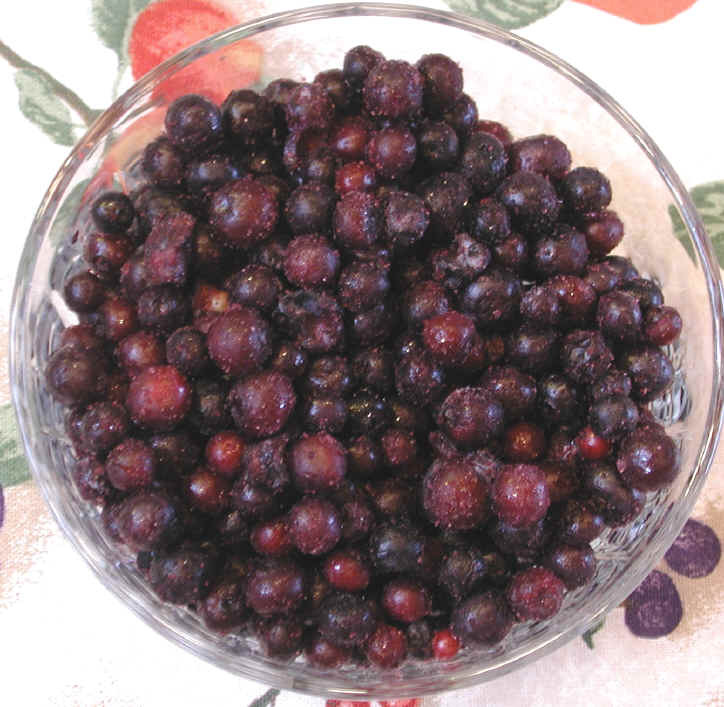 We have seen only frozen wild blueberries, which are easy to store in the freezer, where they are always ready for serving or adding to a recipe. See the nutritional chart below.